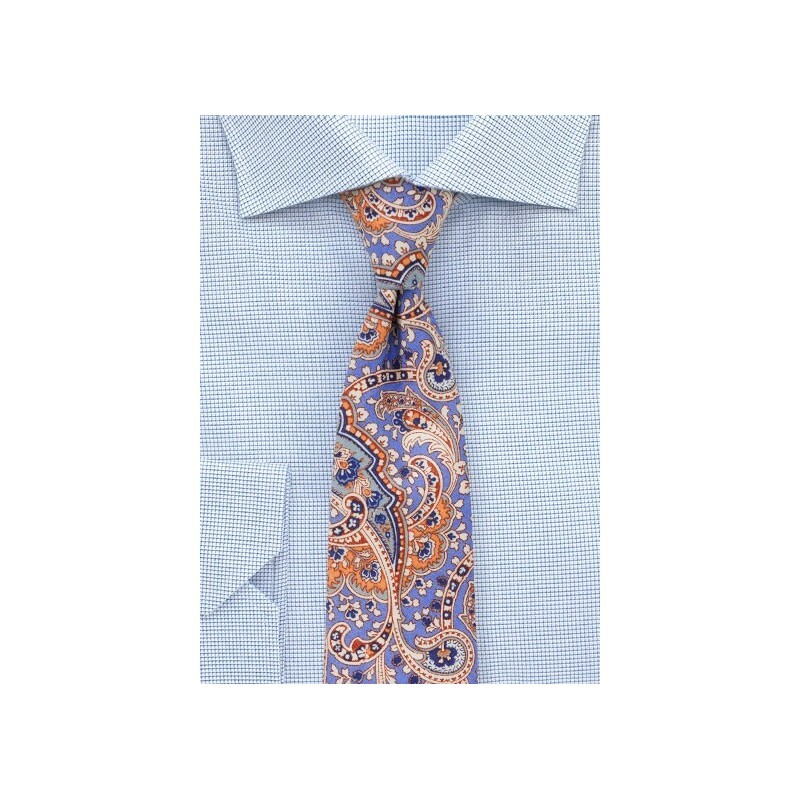 Designed with summer in mind is this brand new paisley print tie on fine cotton fabric. The pastel hues of periwinkle blue, peach, and powder blue will add some instant summer vibes to any suit and shirt. 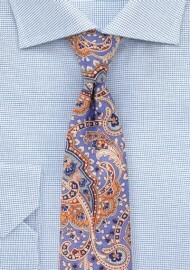 Our tip: Wear this tie with a tan linen suit, powder blue shirt, and suede loafers. Also available in 2 other color combinations. Handmade in slim cut width of 2.75 inches by neckwear brand BlackBird.